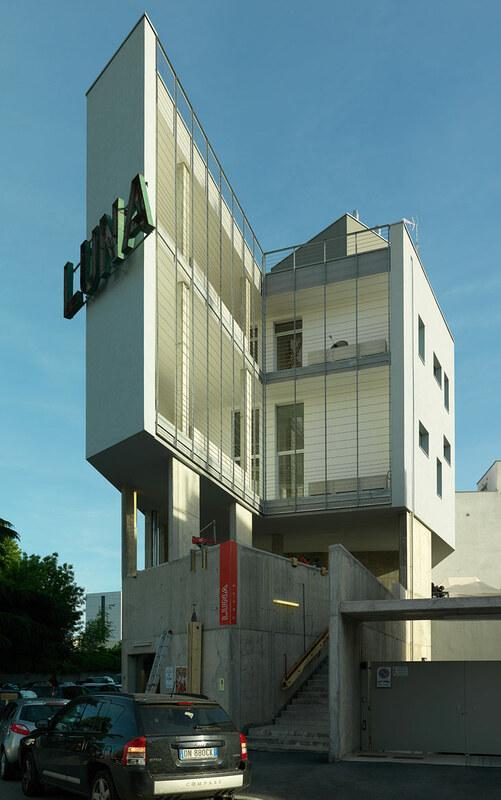 Undai building located at via Private Giovanni Ventura 6 in Milan. 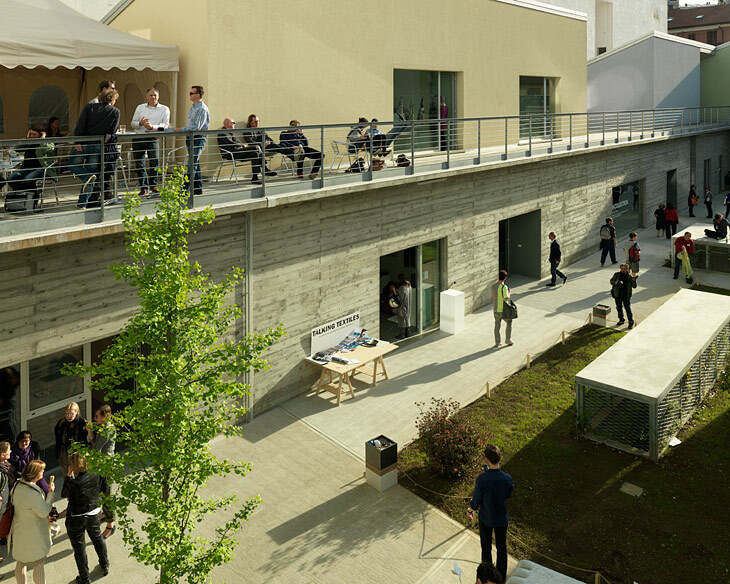 Photographed during the 50th Salone Internazionale del Mobile di Milano in April 2011. 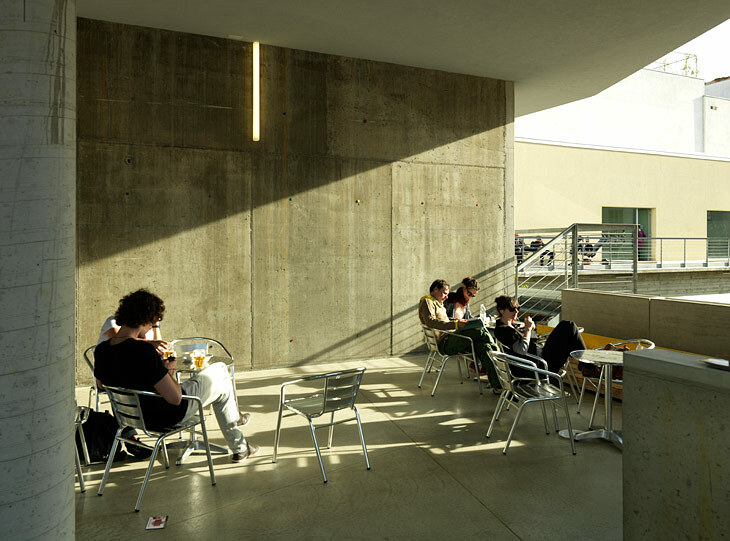 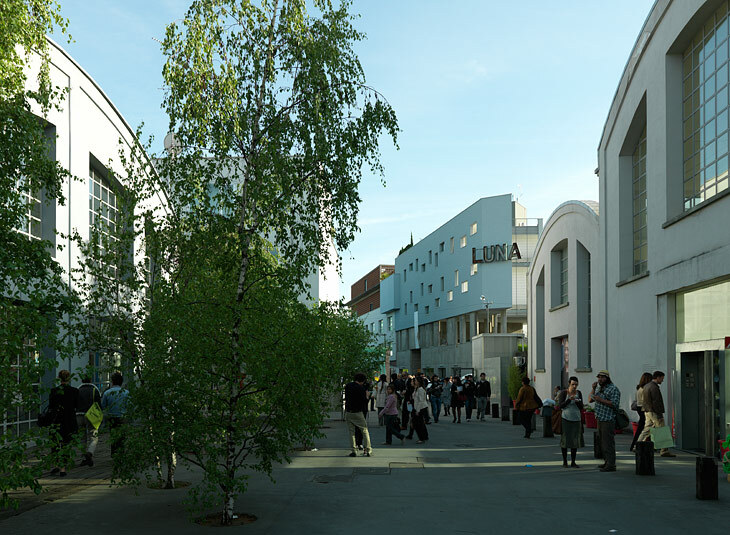 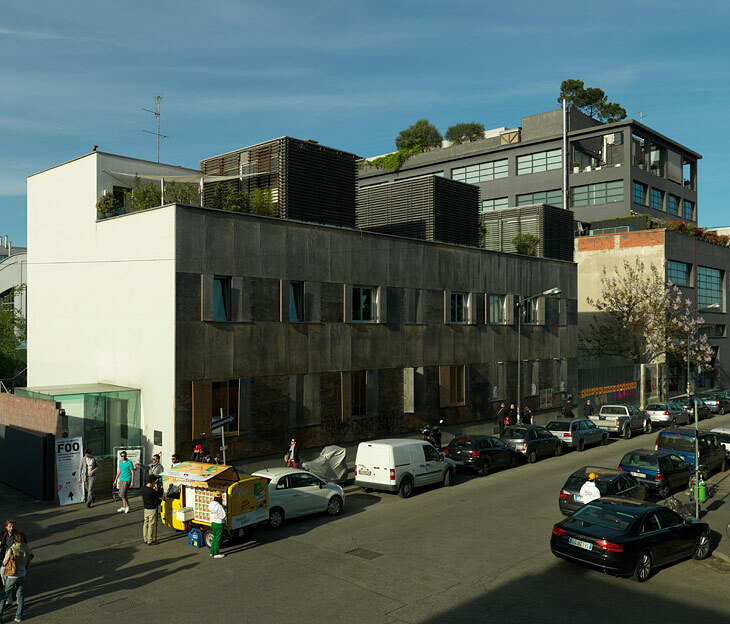 The Undai building is part of the exhibition area Ventura Lambrate during the Milan Furniture Fair, it was opened in 2010. 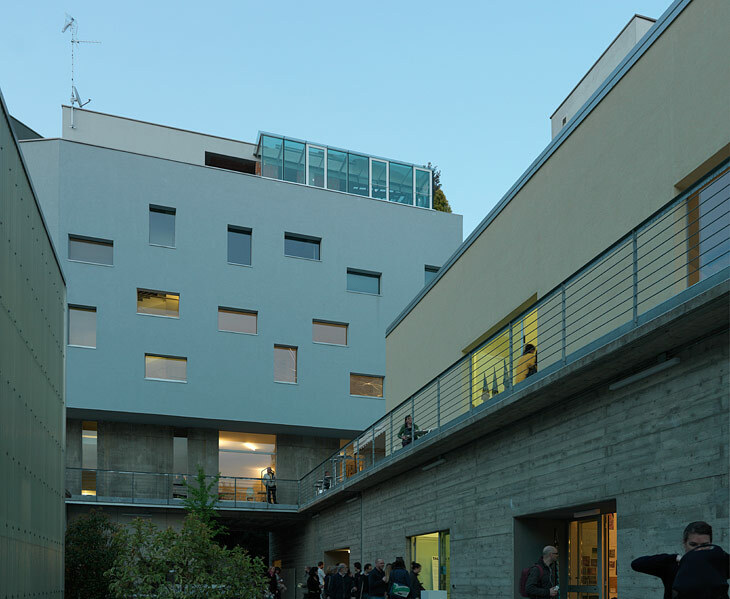 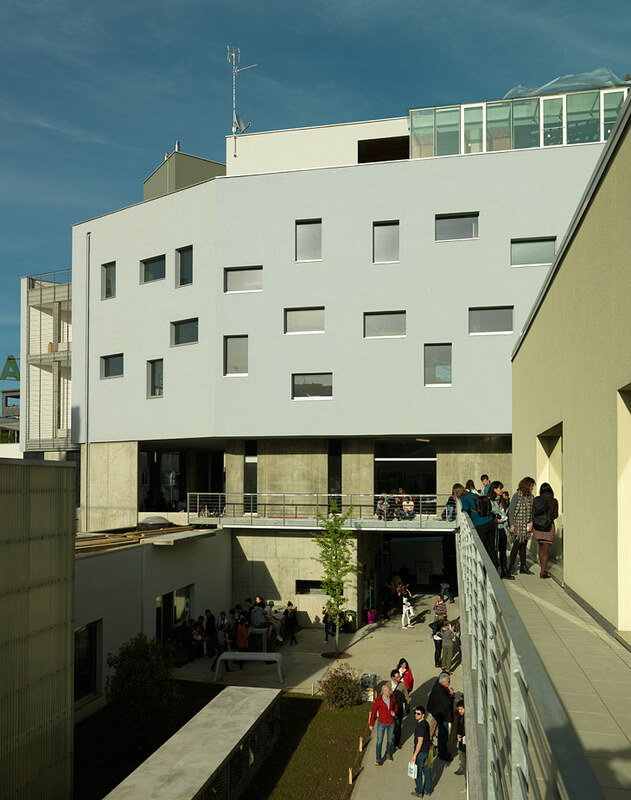 The Architects behind the complex is Ruatti Studio Architetti, the project was commissioned by Imperatore Srl.